This has been a huge topical debate since I can remember. When our parents were pregnant with us, the health warnings that came with drinking and smoking was different to what is being advised now. Before I found out I was pregnant I was a smoker and drinker. I loved my wine and loved nothing more than going to my local, meeting friends, having a large glass of Savvy B and lighting up a cigarette. But as soon as I found out I was, I stopped, immediately. I stopped smoking straight away. I didn’t even think about alternative devices to help me quit and the same with alcohol. I have seen friends drink and smoke their way daily through pregnancy but I was too scared to put my baby’s health in danger, especially, especially in the first 3 months. I haven’t smoked in 4 months, 8 days and 16 hours, that’s a total of 1,297 cigarettes I’ve not smoked and saved myself £260 in the process. How mad is that?! According to Public Health England (PHE), in England in 2014 to 2015, 11.4% of mothers were recorded as smokers at the time of delivery according to Health and Social Care Information Centre (HSCIC) data. This accounts for 70,880 out of 622,640 maternities. Encouraging pregnant women to stop smoking during pregnancy may also help them stop smoking for good. This offers health benefits for the mother but also reduces exposure to secondhand smoke for the infant. National guidance from the National Institute for Health and Care Excellence (NICE) outlines interventions to support stopping smoking in pregnancy and after childbirth. The government’s chief medical officer recommends that pregnant women should avoid alcohol. 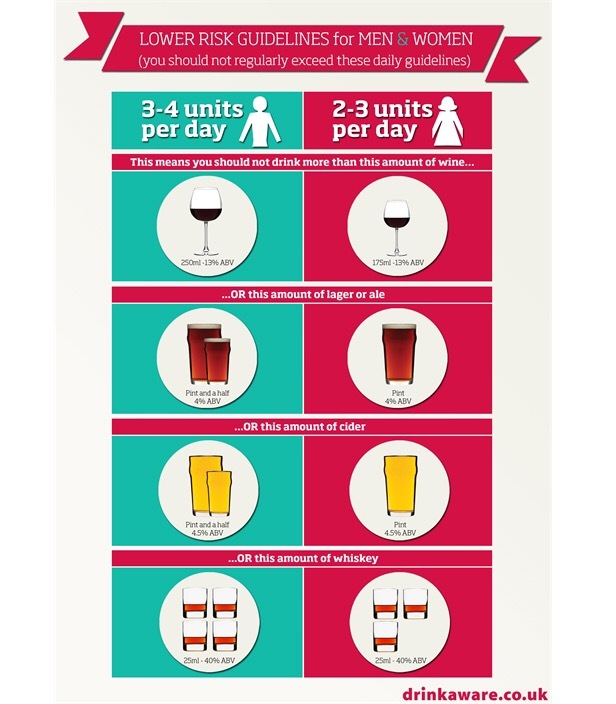 But it comes with an important rider, namely that “if you do opt to have a drink, you should stick to no more than one or two units of alcohol (equivalent to one or two small glasses of wine) once or twice a week to minimise the risk to your baby”. [source: The Guardian]. ‘Heavy, regular or binge drinking can cause miscarriage and premature birth (BMA 2007: 2; 9, Nykjaer 2014, RCM 2010). Too much alcohol can even increase the risk of your baby being stillborn (RCOG 2006a, RCM 2010). If you drink too much alcohol during pregnancy, it can permanently damage your developing baby’s cells.’ [Source: baby centre.co.uk]. I absolutely do not agree with heavy drinking when pregnant and those that do are giving their children a life sentence of uncertainty. A girl I know drank heavily everyday throughout her pregnancy and when her son was born, although late, was the size of a premature baby. He was tiny. Although at a normal weight and size now, who knows what type of complications he may have had during his early life or later in his future. If alcohol is not something you want to give a go whilst pregnant there are plenty of options for us out there too from non-alcoholic beer to sparkling grape juice, alcohol-free wine or mocktails.